mod by C. Decor is a mother and daughter owned business created by Jeannie Cheatham and Amber Clay. An enthusiastic photo fan, Amber was searching for a new camera strap. All she found were low quality straps in limited basic styles and colors. She then set out to produce her own strap cover using her existing strap as the base. Selecting stylish fabrics in vibrant colors and textures, she began sewing on her grandmother’s old sewing machine with Jeannie’s help. The idea for a business was taking form. Since I got my camera about a year ago I make sure it goes to every family activity and get together and of course it is one of the first things I am packing for our summer trip…..While the camera comes with the manufacturer’s strap, I decided to look for a more fun and colorful option and was really happy to find mod by C. decor and their selection of camera straps that are certainly not a standard boring looking strap. 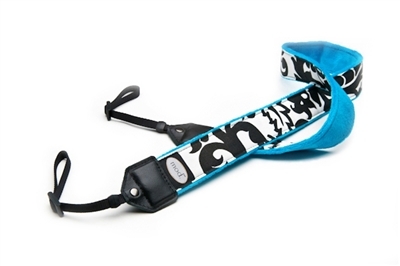 mod gave me the opportunity to try their Classic Camera Strap in the black and turquoise damask design which features a heavy-duty and hands-on camera strap with soft minky backing for a great comfortable way to carry your camera around that is both very practical and cute at the same time. 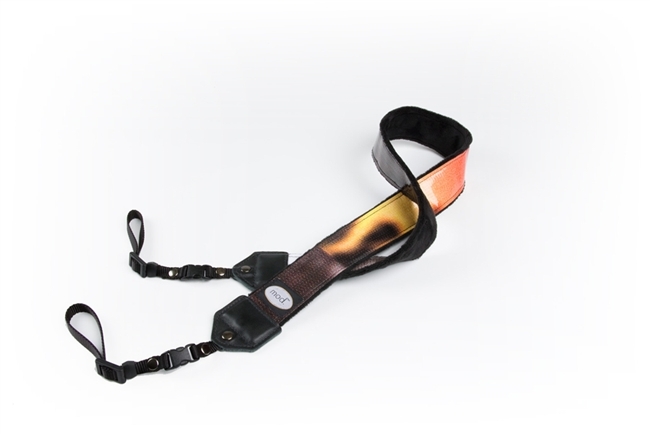 The strap is made with synthetic leather ends and durable webbing throughout. The embellished portion of the strap is 33” and the total adjustable length is approximately 42″ – 48″ so you have a length to play around with till you get your ideal comfort length. The strap is about 1.75” wide. The Classic Strap in the black and turquoise color combination is just one of the different combinations offered in this specific design. They offer four different collections and they all have different color combinations and patterns to match your needs and preferences. Mod by C. also sells really cute and original camera bags to match their straps. 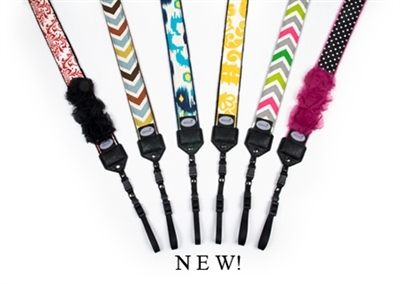 The Classic Strap collection has a retail price of 35.95 for any of the prints you choose. mod by C. Decor has kindly offered one lucky Born 2 Impress reader, the chance to win a free 35.00 gift certificate. 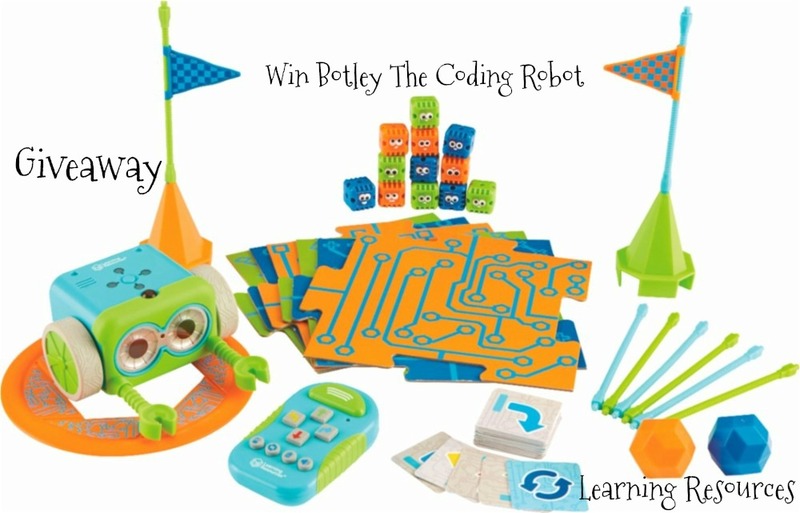 Contest open to U.S and Canada residents with a valid street address. No PO Boxes please. Winner(s) are selected randomly through the use Rafflecopter unless otherwise noted and will be announce on the contest closing date. To claim your prize(s), you must contact Born 2 Impress within 48 hours of the contest closing Prize(s) not claimed by (48 hours) will be forfeited and a new winner will be selected. 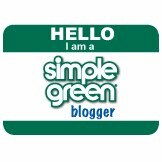 Please provide a valid email address to be informed in case you do win a giveaway. brown and teal DSLR strap is my fave. Love the Yellow and White Damask dslr strap. I really like the Premium Natural Eco Strap! I like the Drop-in-Pouch in Silver Victorian. I’d pick the Premium Strap in Orange Print. Thanks! I like the Gray & Mustard strap. I love the drop in pouch!! 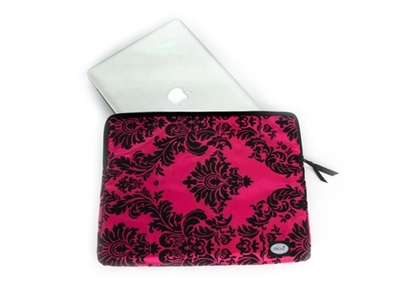 My favorite C. Decor product is the ID/Phone Case in Hot Pink Paisley. Thanks for the great giveaway and opportunity to win. Love the classic strap in orange print! I like the brown and teal neck pad..ciao4now64 at yahoo dot com. I love the Earthy Zig pattern. I love the Compact Camera Pouch & Strap.It’s the perfect shape for my phone.Thanks for the cool giveaway! I like the cap savers. I’m always misplacing my lens cap. I like the Cap Savers. I always panic when I can’t find my cap. I love the Gray and Mustard classic strap. I love the coral flower premium camera strap.